The dial finish is just gorgeous and so are the steel blued hands. The look of these steel watches varies from the rich pink gold version to a cheapest one but still well finished. 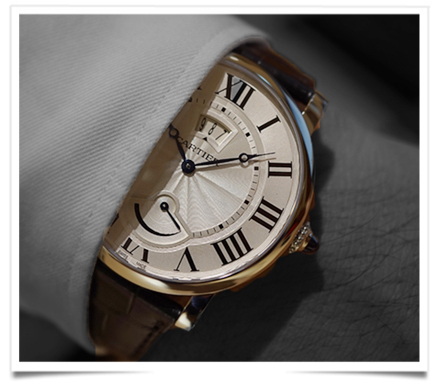 It is a great opportunity to buy a top of the line Cartier time piece, for an excellent price, since both models will be at around Euro 7,000.- but for exact pricing in your territory, please check cartier.com and select your country. This entry was posted in BREAKING NEWS, WATCHS and tagged CARTIER, modeaparis, modecartier by admin. Bookmark the permalink.